“Thank you for your service” or donations to vet organizations are the extent of action for many civilians not personally or professionally engaged with military populations. Previously, the onus of responsibility for veteran care has been placed upon government agencies or veterans helping other veterans, formally or informally. Civilians may feel the government’s resources adequately provide for this population, but this is not the case. 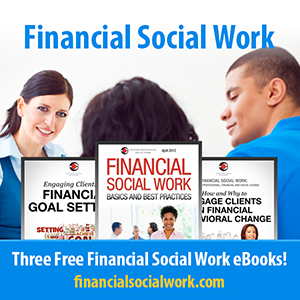 Think about your workplace, courses you took in school, or visits with doctors or therapists. What focus of training, resources, or conversation has there been on cultural diversity, racial bias/harassment, or treatment differences by ethnicity? Now, think about how much training you received about military culture, mindset, and adaptations to those who led a military lifestyle, or the impact of war conflicts on behavior (to name a few). The need for civilian cultural competence in the understanding and care of Service Members, Veterans and their Families (SMVF) may seem more evident upon our reflection of military specific education. This post proposes a solution for SMVF populations inclusive of all Americans working towards the understanding and support of our Armed Forces, past, present and future. The Trump administration wants to expand the Mission Act by expanding civilian options for care to Veterans. This expansion could provide both an opportunity and a crisis for veterans needing health services in a timely manner. The VA continues to face significant backlash from the consequences to veterans of long wait lists. Even with the increase in VA employees from 250,000 employees in 2009 to 370,000 in 2018, all veterans could not possibly obtain service. The VA is not meant to be the end all/be all in helping veterans and their families. On the surface, the expansion offering more private healthcare options seems appropriate. This expansion will only work if an effort exists to systematically develop an education program of military cultural differences. The last report available from the National Center for Veterans Analysis and Statistics (2016) stated “48% of all Veterans used at least one VA benefit or service in FY 2016… with 44% using multiple benefits.” A benefit encompasses not only health care, but pension, loans, life insurance, education, memorial benefits and vocational rehabilitation. This leaves the potential for 56% of veterans not using a VA benefit or service much higher if only looking towards health care utilization. If over half of veterans seek care in the civilian community how many of these civilians are culturally competent in understanding military experiences and the impact of serving our country? Rand Corporation’s (2014) report identified a significant gap in cultural competency of civilian mental health providers. 24% of the providers under the Tricare network of referrals met the guidelines for military cultural competency and worse, only 8% of the private civilian mental health providers surveyed were culturally competent. Many of the 24%, while culturally competent, were not aware of appropriate evidence-based best practices with military populations. As recently as 2018, Rand Corporation surveyed health care professionals in New York and found only 2% qualified as able to provide quality care to veterans. If this type of unawareness occurs in health and mental health settings, what about businesses and education? The needed civilian awareness of SMVF culture and requirements is evident. Businesses, educational institutions, healthcare and mental health providers are awaking to the basics of providing culturally competent services fostering better outcomes for SMVF populations and society. In the United States, 40% of our population is ethnically diverse. Using military culture as a category, SMVF populations have a significantly high rate in the general population accounting for almost 11% of citizens, meaning potentially 1 out of 11 people are SMVF affiliated. Even with these significant numbers, no formal measure has been enacted to address Military Informed Practices in civilian mainstream populations. The motivation for change in the SMVF system of care has been spearheaded by informal systems of either veterans or family members of veterans. Those individuals committed to helping SMVF populations are developing numerous non-government options including mental health care, employment and education. The next step to this process is involving non-SMVF populations to support and integrate understanding of this nation’s military workforce. The formal development of cultural competencies into practice needs structure and government support. Military Informed Practice standards can be addressed through modification of the National Standards for Culturally and Linguistically Appropriate Services in Health and Health Care (the National CLAS Standards) along with national standards for mental health, business and education. After these modifications, a process of education and certification can be initiated to provide SMVF populations an awareness of which organizations commit themselves to SMVF culturally competent certification. Military Informed Practice through certification is one method of enhancing the general populations involvement in best practices. One model to examine is PACT training and certification. 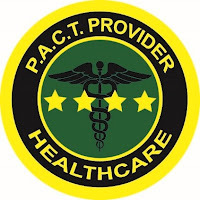 PACT addresses areas of Policy, Advocacy, Culture and Treatment specific to the purpose of serving our SMVF populations. Organizations earning PACT certifications would benefit from fully harnessing the resiliency and military mindset each SMVF person brings to their education or work. 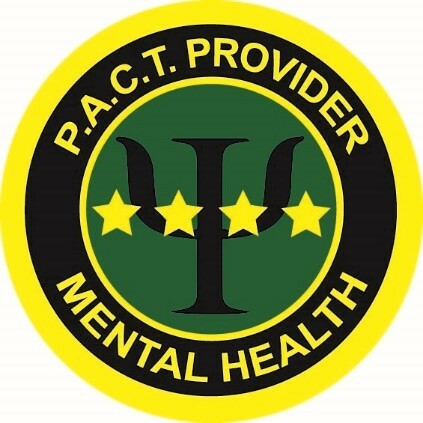 Health and mental healthcare providers benefit their military populations through more accurate assessment, interventions, and treatment impacting outcomes. 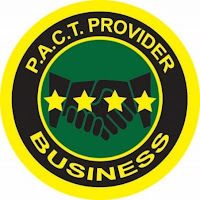 The benefits of PACT may be similar to the benefits of organizations embracing and understanding strengths people from diverse populations offer. Policy – Organizations/companies will learn to develop Military Informed Practice policies. Education of governmental policy and procedures affecting SMVF populations within the context of each type of provider relationship will enhance policies. Policies can be micro or macro oriented and dependent upon the type of certification being pursued. Advocacy –A Military Informed Practice approach educates individuals working with SMVF populations on strengths-based advocacy options. Civilians can increase their ability to advocate for SMVF populations in accordance with their military mindset, DoD standards, taking into account political changes, or through the different channels /resources offered to these populations. Culture – Develop competency in knowledge of military culture, mindset, resiliency factors, and experiences with SMVF populations as it applies to the corresponding setting. This area builds the foundation for a Military Informed Practice. Treatment – The awareness of Military Informed Practice develops appropriate measures to assess, support, and intervene with SMVF populations. Treatment may be formal, as with healthcare or mental health treatments, or informal with how SMVF populations resources are developed in education or the workplace. Using the carrot and the stick approach, provisions of PACT certification can be created as incentives for adoption. 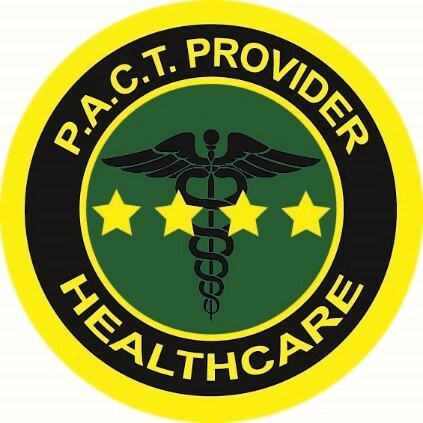 Earning PACT certification could increase points in obtaining government contracts, earn higher reimbursement rates for Tricare, or be used as a reason for SMVF populations to choose a university, apply for a job, and pick their health providers. 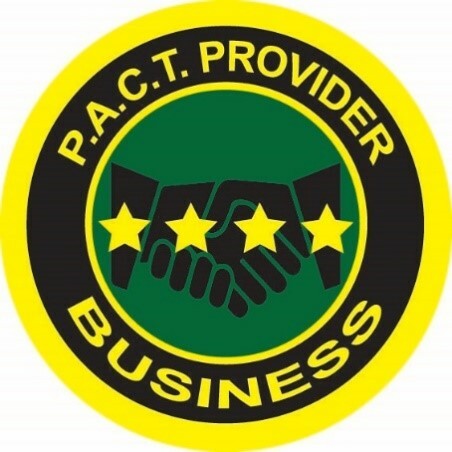 PACT Certification badges branding can be proudly displayed on websites, literature, letterhead, or on business fronts, allowing easy identification by SMVF populations and their supporters. 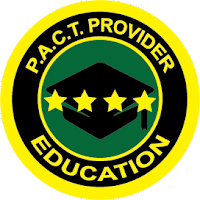 Pact certification can be highlighted on a resume’ or provided as continuing education credits. 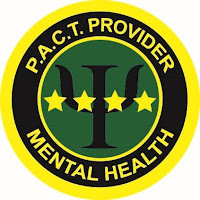 A convenient PACT app can direct users to providers or employers who support our SMVF populations through Military Informed Practice. Benefits can be created in any industry to incentivize certification. Actions towards an educated public on military culture can impact our culture long term. Twenty-six countries mandate military service, maybe our alternative to a mandated military service is a population educated on Military Informed Practices. How would our country change with an added empathy to those willing to give up their lives for our freedom? Imagine a country dedicated to providing culturally competent interactions with SMVF populations. Would military related suicides go down? Could different populations previously not interested in military service be engaged? Would veterans who are homeless be offered different alternatives towards self-sufficiency? Indifference can give way to a new understanding and empowerment of SMVF populations. SMVF populations fought for us, sacrificed for us, and continue to provide a freedom rarely experienced by most other countries. Military Informed Practice can benefit any organization. Utilizing the PACT framework for education on Military Informed Practices can allow civilians to take action, backing up the phrase “Thank you for your service.” A Military Informed Practice provides a reciprocation of, to place it in an Army values context, “loyalty, duty, respect, selfless service, honor, integrity, and personal courage” our SMVF populations so graciously give us. The Future of “Support our Troops” by a Civilian Workforce: A Plan for the Civilian Sector to Engage in Military Informed Practices for… was originally published @ Bridging the Digital Divide in Social Work Practice and has been syndicated with permission.